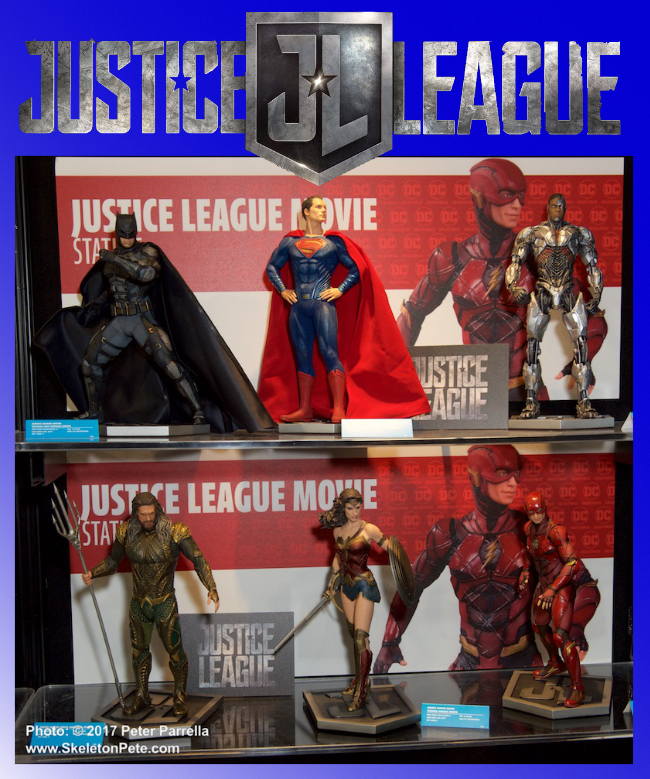 DC Collectibles sextet of Justice League Movie superheroes statues. 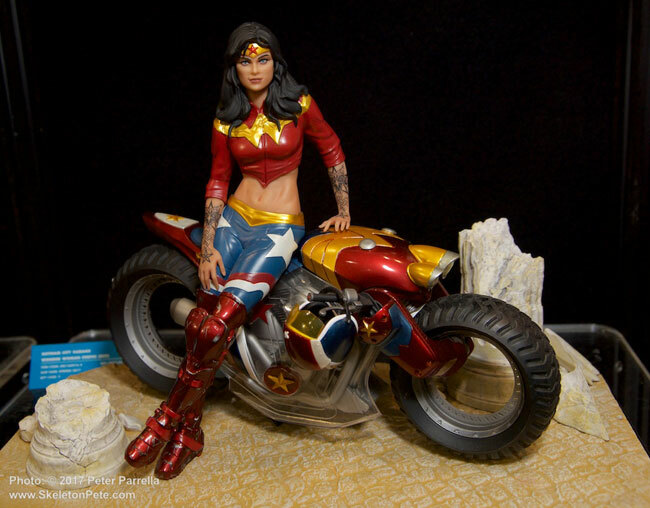 Gotham City Garage Statues from DC Collectibles – Wonder Woman as you’ve never seen her before! DC Collectibles has been adding to their Gotham City Garage statue series over the last few years and showcasing them at Toy Fair and Comic Con. SkeletonPete knew I’d fall in love with them. He knows me too well. I was instantly drawn to these gorgeous sculptures, these beautiful superwomen on motorcycles, in particular, Wonder Woman, my childhood hero. When I saw these DC heroines reimagined as fierce biker chicks, I could instantly envision a live action or animated series set in this universe. Shortly thereafter, creators Jackson Lanzing and Collin Kelly announced their plan for a comic book series of the same name. I couldn’t wait to dive in and that’s unusual for me, as I’m not typically a comic book collector. Well played, DC. Mission accomplished. You reeled me in… and at 99 cents per digital download, it was an investment I was more than happy to make.